I’ll never forget the feeling that I had when I walked onto my college’s campus and had no job and no plans for bringing in some type of income. I had worked my entire senior year of high school and was thankful to save up money to afford a better car, as well as pay all my bills, but the thought of not being able to work a ton of hours in college intimidated me, especially since I wasn’t getting any financial support from my family. Could I even make this work? 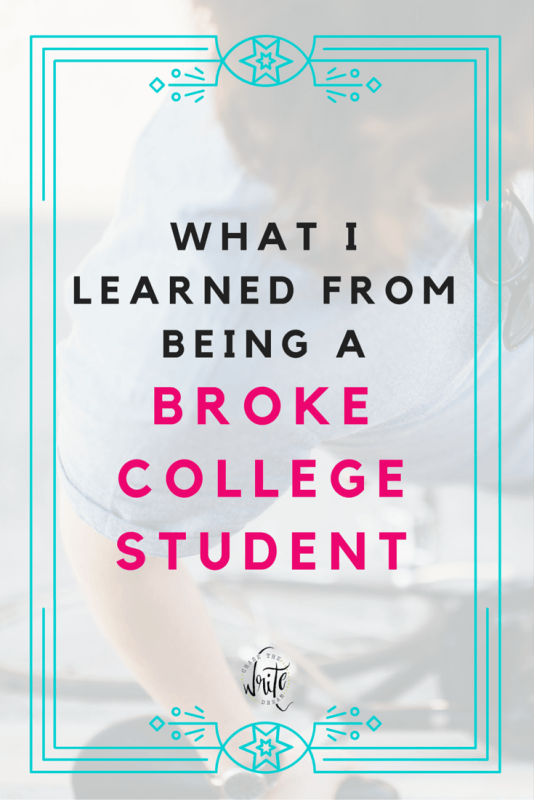 Looking back, I realize that being a broke college student actually taught me a lot about life. I did eventually get two on-campus jobs that totaled almost 20 hours a week, but they paid minimum wage and were enough to cover all my basic necessities. My hope is that no matter how broke you feel right now, you’ll find a silver lining in the midst of it all and begin to shape your life so that you never have to be in this position again. I never understood why some people kept spending money when they literally had no money to spare. I literally saw people forking over $4 a day for coffee, $20 a week for an activity, and so much else. I called these miscellaneous expenses the “not-so-necessary” purchases that make us feel better sometimes (and are often habits), but should be minimized to make room for more important things… Things that will actually give us a return of some sort. Every student is going to have a different idea of what a worthwhile investment is. For some, it may be a paid app that helps them keep track of their schedule better, or a separate class outside of school that educates them in a subject they are truly interested in (call it a stress-free activity, if you will). Students who want to save money may look into savings accounts with higher interest rates or other financial avenues that will give them a return on their investments. These investments are worth sacrificing some of your spending money because they can change your life for the better in the long-term, rather than for just an hour or two. I’m not saying you should blow ALL of your money here, but if you have the chance to have a better quality of life, then why not go for it? Personally, I know that investing in something that made me less stressed would be an easy decision for me to make. I could easily find the extra money by doing a small job or not going out to eat for a week, so I know you can, too! Y’all, budgeting money is EVERYTHING in adulthood! One of the biggest lessons that being a broke college student taught me was to keep track of every bill I had, when it was due, and how much it was going to cost. By doing this during my college years, I got into the habit of tracking my finances and that made taking on more bills as an adult a much easier thing. If you haven’t started budgeting your money, I highly recommend that you check out my Free College Student Budgeting Printable. Pickup flag football games on the dorm lawns and RHA barbeques quickly became some of my favorite things on campus not only because they were free, but because they allowed me to connect with other people that I didn’t know. 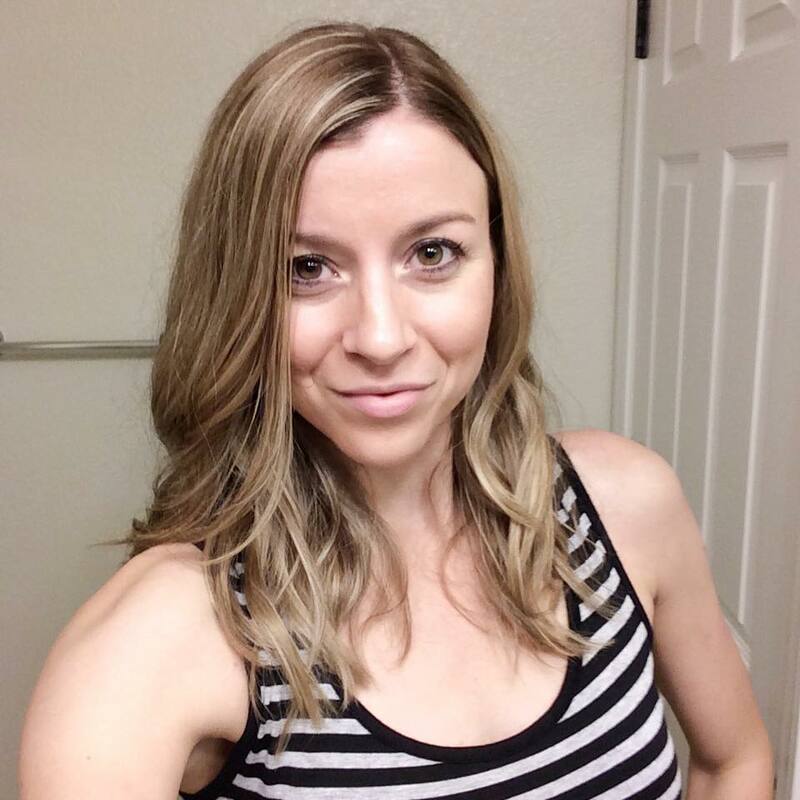 From movie nights to running group sessions, I quickly found “my place” in college and felt more at home. I began to realize that even though going out with friends was fun, I could have just as much fun FOR FREE by staying on-campus and participating in one of the many events that was going on (because there were ALWAYS so many to choose from). So if you’re a broke college student and you’re looking for ways to branch out, don’t be afraid to show up to one of these free events! It may feel awkward at first if you don’t know anyone, but just imagine all the fun you’ll be missing out on if you don’t take the first step of showing up! Appreciating the small things may be the most important lesson I learned as a broke college student. When I didn’t have my money to rely on, I quickly realized what mattered most to me. My family may not have been able to support me financially through college, but they never stopped encouraging me or telling me how proud they were of the work I was doing. I also learned to appreciate the things I had: laptop, printer, a comfy blanket, and all those other small things that we often overlook. So many people can’t afford these items, yet I have them in my possession. I may be “broke” in my terms, but there are millions of people who have it much worse than I do. The work you are doing today matters. You may not like this period of financial instability, but I promise that something good can come from it. Don’t be afraid to invest in yourself and create goals. Really great advice. It can be tough but keeping a budget is a must, and will definitely help in the long run. 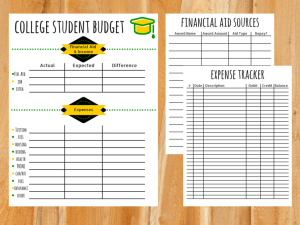 I love the idea of using budget printables to keep up with things that you need to pay for in college! I’m going to be moving into an apartment soon for the first time and I’m still in college so I think these will be really handy. Keeping a budget helped me SO much in college! I think it’s a must for all students.